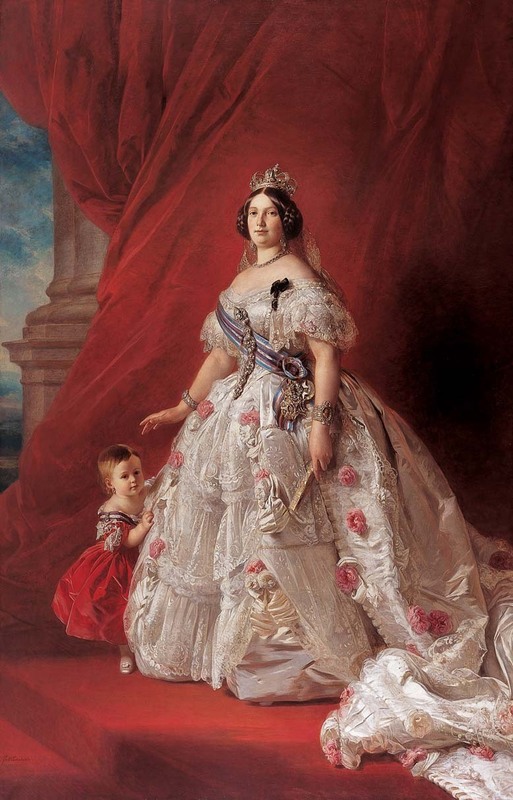 Queen Isabella II of Spain. Queen Isabella II of Spain with her daughter. Painted by Franz Xaver Winterhalter.. HD Wallpaper and background images in the Kings and Queens club tagged: queen isabella ii queen isabella ii spain monarchy royalty. This Kings and Queens photo might contain polonaise, hoopskirt, crinoline, dinner dress, dinner gown, formal, and evening gown.